Automobile Dacia’s worldwide sales grew by 17.4 percent in 2007, up to 230,473 cars and commercial vehicles, while local sales dropped by 5.2 percent, Business Standard daily reports. Dacia sold 102,062 cars on the local market, compared to 107,669 in 2006 and 113,276 in 2005. Commercial Manager Jacques Daniel, said that the company’s sales included 76,785 Logan Berlinas and 18,427 Logan MCVs. The management is expecting local market sales to rise in 2008, due to the launch of two new car models: the Logan Pick-Upin and a copy of the Brazilian Sandero. “We have no exact estimate, but can say that we will have higher sales in 2008,” said Daniel. He added that sales growth will be influenced by the new new models. Since Logan was launched in September 2004, there have been 306,000 cars sold worldwide. Main markets are France, Germany and Ukraine. 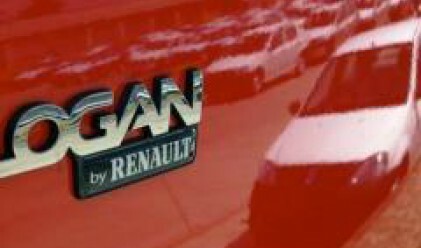 Two thirds of the cars sold in France and Germany are Logan Breaks, which has a good quality-price ratio, and no competition on these two markets. Dacia will begin exporting to Scandinavia this year. The company will develop its own network, and will also work with Renault dealers.